“Mom, I told you no way! Lily shrieked and stomped her foot. She was just getting warmed up. She wailed, throwing herself over a chair, screaming and crying, “No, no, no, noooooo! What can a parent do when a power struggle ensues? When a child refuses your direction or instruction, when he or she rebels and defies you, fights, meltdowns, turn offs and turns away, you face one of the most challenging aspects of parenthood: discipline. Unfortunately, this is where too many parents buy into the idea that discipline is about making your kids mind and getting them to obey and behave. When you think like this you go into fight mood. Me (authority) against them ( them the children you want to obey) in a battle of wills and for control yelling and nagging. That’s what a power struggle requires, right? No. The whole point of correcting wrong behavior isn’t about about engaging in a power struggle at all. Discipline is about teaching, teaching children to develop self-control, to make the right choices based on reasoning and doing the right thing, to realize that all choices have consequences that impact oneself and others. In fact, the word discipline comes from the word disciple that means to teach or to instruct. So teaching your children is a we thing. In correcting them, you are on their side, for them not fighting against them. Every choice has a predetermined consequence so you are rooting for them to make the right choice deferring from the wrong choice. You invite cooperation rather than demand or coerce compliance. This diffuses the power struggle, where there is no winner or loser of the war for control. Rather you both win. You teach them something beyond how you behave for the moment and they learn tools that can carry them through life. Discipline delivered in love. Love and discipline walk hand in hand. These are the two most important factors in the parenting equation. Children who feel loved are immeasurably easier to discipline. Discipline is about teaching, helping your child live with self -control by doing the next right thing. In fact, the very word discipline comes from the Latin noun that means teaching and instruction. Discipline is the basic tool we teach our children to solve problems and love is the energy that makes it work. Discipline is not punishment. Punishment is about making retribution for an action done in the past often delivered in anger by words or force. Punishment springs from anger and frustration, while discipline is delivered in a sense of calm strength. Punishment attacks the person while discipline addresses the problem giving steps to resolve the issue. Punishment points backward while discipline is a forward process. Diana Baumrind, PhD a developmental and clinical psychologist at the University of California- Berkley helps us with her groundbreaking lifelong research on parenting styles. In a longitudinal study Baumrind found parents in the study demonstrated qualitatively different approaches to how they balanced demandingness and responsiveness. Demandingness refers to the way parents use power; how they monitor and supervise their children’s activities, and how they control, prohibit, and modify their children’s behavior to fit their expectations and standards. Responsiveness refers to how parents express love, balance their children’s need for protection with their need to be independent and autonomous, and comply with their children’s needs and wishes.. Four primary patterns of parenting emerged, labeled unengaged, authoritarian, permissive and authoritative. For our purposes the unengaged style is not being addressed. Using the Goldilock’s analogy think:? Are you authoritarian? – too hard? When I think of authoritarian parenting, I invasion the tee shirt with the imprint, “Because I’m your mother, that’s why!!! Focus on obedience rather than moral development. The reason behind rules and their impact o others is never discussed. Control is external to child does not teach inner control. The parent’s constant directives, leaving little room for flexible thinking fostering dependency. Frequent use of physical force, demeaning and belittling demonstrates aggression resulting in shame, higher levels of aggression and anti social behavior. There is an emphasis on power and control rather than teaching , guiding and encouraging. Responsive, but make few demands for age appropriate behavior. Set few explicit standards, limits or prohibitions that would require their children to behave responsibly and respect needs of others. 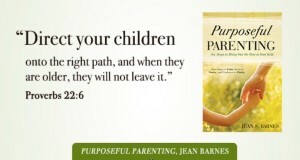 Parents allow privileges far beyond their status and few if any responsibilities. Children expect others to do for them. When children test limits parents avoid confrontation in effort to be perceived as good friends rather than authority figures. Establish firm, clear age appropriate expectations. Balance high expectations and demands with responsiveness, nurturance and support. 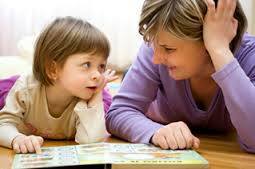 Encourage verbal give and take sharing with their children the reasoning behind expectations and demands. Establishes choices and predetermined consequences. The wise parent establishes authority without using physical punishment. Based on a simple rule of always treating one another with respect, there is no hitting, spanking or physical violence. The rule of respect and wisdom is “People are not for hitting. I’ll never hit you and expect you never to hit your brother or sister or other adults.” Once that’s clear, the teaching opportunity is there for you to seize. The goal of discipline is to teach the child to make the right choice. From an early age, teach the child to stop and think is this a good choice or a bad choice. What are the consequences of my actions to myself and to others. Let predetermined consequences be the the control. This is key. Control is at the cruz of so many discipline problems, but the choices and consequences model breaks down the wall of you against them. You are on the same team pulling for them to make the right choice. You are no longer the mean parent. There is simple a consequence for every choice. For example, many battles concerning control are fought around the dinner table. Your child refuses to eat. You easily an go into action begging, pleading, scolding, and demanding them to eat because you want to make sure they get proper nutrition. The motivation isn’t the problem but your responses play into the power struggle. Led by you fear of malnutrition, you’ve joined the ranks of short order cooks trying to please the little generals. I know of one mother of a kindergarten-age boy who literally became so desperate, she spoon-fed her five year old like an infant. He was victorious in his ability to get his mother to do his bidding: and while he won the battle by deciding what to eat, she lost a bigger war of maintaining authority and teaching him something way beyond one meal. He’d learned the first time she gave in and fixed something else that he was in control of his mother instead of himself. The sad thing – their interaction made reality a lie. She was treating a five year old like a baby and he, the five year old, had control of an adult. Find how you are doing now in terms of discipline style — are you too hard on your kids, too soft, or just right? This quick quiz can give you an instant clue. Answer if the following statements are true or false from your experience. Often I need to give instructions two or three times before my kids listen. I am the mom and it is my children’s job to do what I say. Rules and expectations based on logic and reasoning are clearly stated and consistently enforced. My child likes me to be right on hand when doing homework. My kids seldom have chores to do. Often I am reluctant to enforce rules. Threats and bribes are my main arsenal. Frequently I find myself doing things for my children that they can do for themselves. When my son disobeys me I give him a good swat. Often I find myself yelling and screaming. Fair predetermined consequences are set for each rule so children understand cause and effective relationship between good choice and bad choice. When my kids resist or test limits, I frequently avoid confrontation. Often it is easier to let my kids do their own thing. As long as you’re in my house you will do what I say. Getting my kids to do chores is too big a hassle. It is easier and faster to do it myself. I am tuned in to and support my child feelings and needs. Rules and expectations are based on logic and reasoning so my child can understand and apply to other situations. Autonomous, responsible and independent behavior is encouraged. I think it is important to praise and encourage my child’s good behavior and achievements. I establish daily routines and encourage good habits. I spend time with my child each day. If my child questions a rule, I’ll discuss why the rule is important. If a child is disobedient, punishment, criticism or threats are necessary. Respectful language, using kind and caring words, is modeled and encouraged in our household. My kids constantly bicker and fight. My children are respectful of one another’s belongings. When I come home and find toys lying around all over the place, I hit the roof. I am intentional in teaching my kids to be caring of others. I would rather give in to my children’s desires than argue with them and incur their anger. I create fun rituals such as playing games or reading to my child every night. The too hard or authoritarian parent would answer true to the following questions 1, 2, 7, 9, 10, 14, 23, 25, 27. The permissive parent who is too lenient would answer true to the following 4, 5, 6, 8, 11, 12, 13, 15, 21. Authoritative “just right” parents find the balance between high standards and expectations and warm nurturing support. These parents would answer true to questions 3, 11, 16, 17, 18, 19, 20, 21, 22, 24, 26 28. You may find you lean in a couple of directions, for instance most of your true answers are split between two categories. Look at how you lean now. 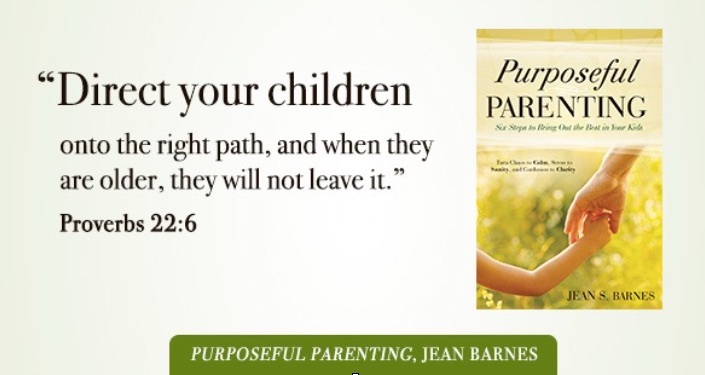 Then read the chapter on discipline in Purposeful Parenting: Six Steps to bring out the Best in Your Kids for how to find a healthy authoritative balance.